This past weekend, the Copa Podio held another highly anticipated event that included a heavyweight grand prix where 10 brown and black belts squared off for the title. Going in, the main question was, would Leandro “Lo” Nascimento be able to keep his unbeaten streak at Copa Podio? This was the big intrigue. The three-time champion was facing his biggest test to date, and he was fighting with a clear weight disadvantage against almost every one of his opponents. Lo’s biggest challenge was last year’s heavyweight grand prix champion and current IBJJF heavyweight World champion, Rodolfo Vieira. The two World champions collided in two thrilling match-ups at the event. Beyond the two headliners, there was plenty more intrigue coming from other competitors, including judo Olympian Travis Stevens, who was making his second run at this event. 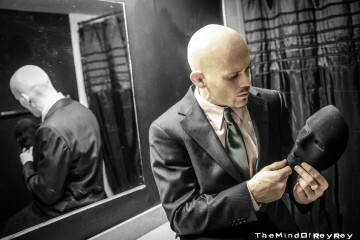 A few months back, Stevens took everyone by surprise with his crafty and unpredictable ground game in the middleweight grand prix, so the organizers had to bring him back based on his exciting style alone. Once again, Stevens did not disappoint. The John Danaher black belt was able to fight his way into a spot in the semifinals, where he was ultimately stopped by Vieira and then by Luiz Panza in the third-place match. Regardless, Stevens, even with his lack of competition experience in jiu-jitsu, still fought very well against high-level opponents and left a good impression with the audience. Another intriguing storyline to this event was seeing how the brown belts would fare. At past grand prixs, brown belts such as Stevens, Keenan Cornelius and Joao Gabriel Rocha have held their own against some of the best black belts. So, everyone wanted to see how Tim Spriggs and Faisal Alkitbe, this year’s additions at brown belt, would stand. Well, they had their ups and downs. Neither were able to pass to the semifinals, but neither looked to be overwhelmed. Spriggs was able to defeat two well-respected black belts in Panza and Rico Bastos. Meanwhile, Alkitbe defeated Alan Belcher and fought a tooth-and-nail match with eventual finalist Leandro Lo. Although neither achieved the results they were looking for in the competition, they should certainly keep their heads up, as their futures look very bright through the rest of their brown belt careers going into black belt. At the end of the day, the big story involved the battles between the two friends, Lo and Vieira. The champions squared off in their group, and each played at their strengths. Lo played his diverse spider guard, while Vieira played on top using his typical pressure passing style. At the end of the six-minute match, neither were able to score a point or an advantage, and the match was declared a draw. However, the day wasn’t over between the two. Vieira and Lo qualified for the semifinals, easily winning every other match they fought in, and then each won their respective semifinals, with Lo defeating Panza by points and Vieira submitting Stevens. So, the finals was set to be a rematch between the two. In the finale, whatever adjustments Vieira made in his approach paid off. Unlike the first match, Vieira got past Lo’s nearly impassable guard with relative ease. Then, in a scramble, Vieira managed to take Lo’s back and secure the choke and his second Copa Podio championship. With the loss, Lo’s unbeaten streak in this event ended and he was left with the runner-up trophy. What are your thoughts on the matches and the overall event? Were you surprised with Lo’s resilience in the first match? Were you surprised with the submission to end the tournament? Comment below! Osss! Gianni Grippo is a black belt in Brazilian Jiu-Jitsu under Marcelo Garcia and trains at the Marcelo Garcia Academy in New York City. 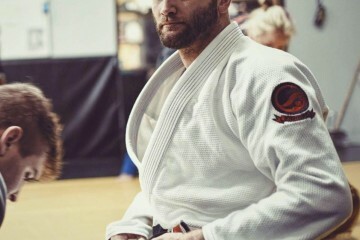 Besides being a big fan of the sport, Gianni is also an avid competitor and has ranked among the best in the World from blue to brown belt winning 6 IBJJF World titles and 7 Pan Championships. Still at 21, Gianni looks to continue to compete for many years to come as his main goals are to win the World championships at black belt and win the ADCC title.